So on the scale from “no help at all” to “girlfriend built the plane all by herself,” we made a few steps last night. After dinner (thanks Mi Pueblo! ), I convinced the lady friend to come outside and help me finish up the last few rivets on the right rear spar. 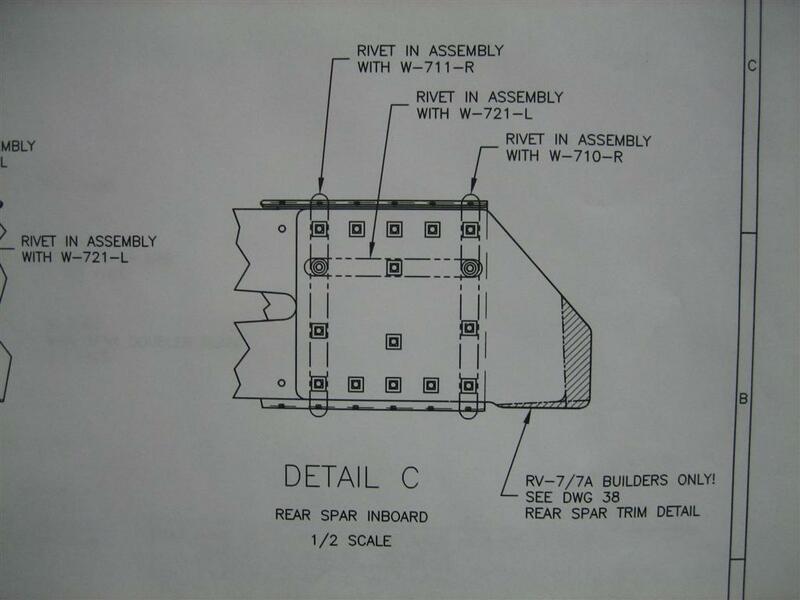 I talked her through going to the plans, looking at the rivet callout legend, and then putting the rivet in the appropriate holes, making sure to avoid the “rivet later” holes. 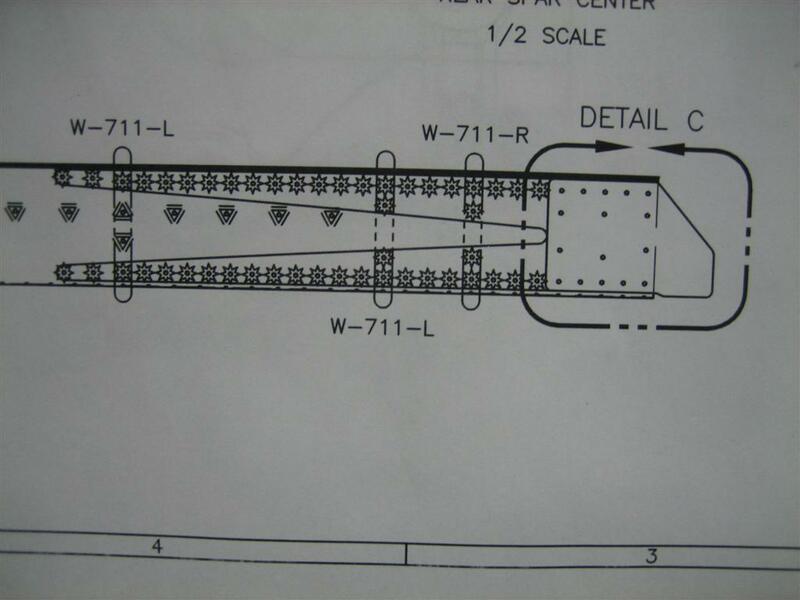 Here's the plans shot for the reinforcement fork. Of course, we were too busy being in love (with each other and the airplane) to take very many pictures, so you just get the end result. 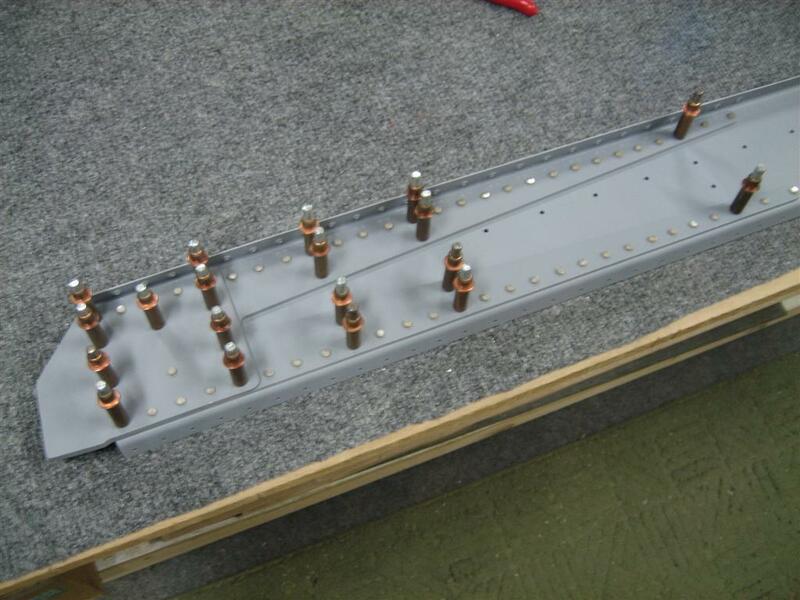 The main squeeze did a great job reaching all of these rivets (mostly due to the 4″ no-hole yoke). Final rivets in the fork-only area. 38 rivets here. 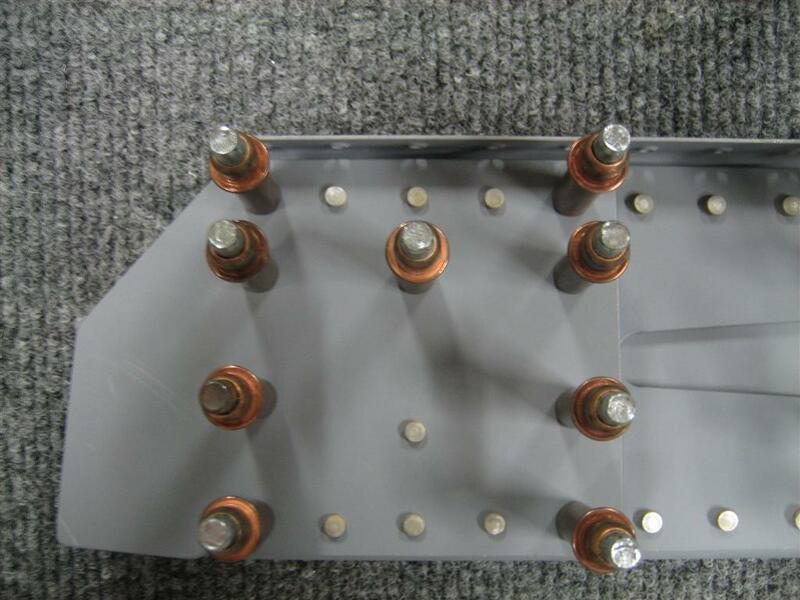 Closeup of the fork and doubler plate together. 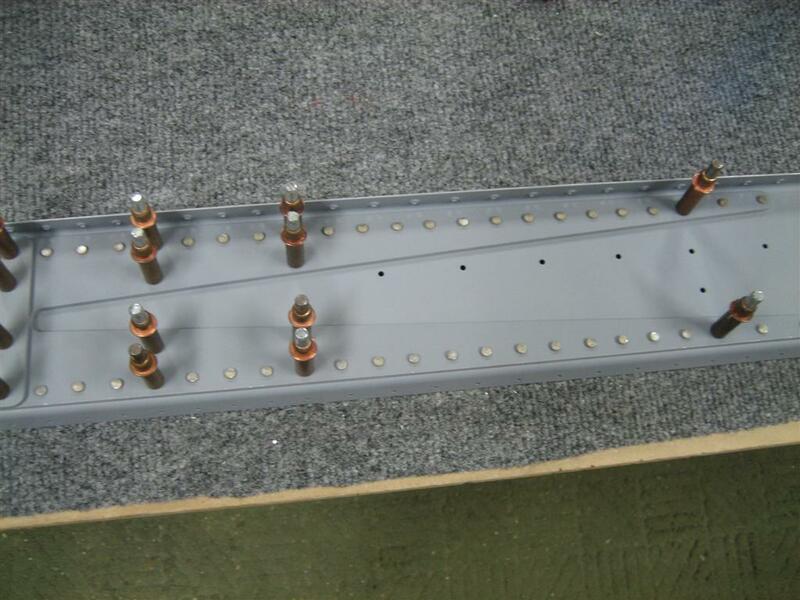 Final rivets in the doubler plate. 7 more rivets here. 0.5 hours (thanks, girlfriend), and 45 perfect rivets. For those of you paying attention to the totals, that brings me to 175 hours (after 261 days) and 2409 rivets (of an estimated 20,000). Still a long way to go. This entry was posted on Tuesday, September 14th, 2010 at 8:33 pm and is filed under Wings. You can follow any responses to this entry through the RSS 2.0 feed. You can leave a response, or trackback from your own site.